Here are 2 videos relating to the Le Masurier's redevelopment scheme for Bath Street in central St Helier Jersey. Video Two below is a compilation of the Developer's "walk through" video of the proposal for this 2 acre site in central St Helier together with a clip of the small scale Architect's model and my own video recordings taken in Minden Place and looking at some of the nearby streets and buildings. Funchal Street shown here is not the only access to the car parking facilities on the site. The existing access behind the former Odeon cinema from Bath Street and alongside the St Helier Centeniers' office (the Old Fire Station) and across the existing (Nelson Street ?) public car park will also be used. This will also be the main access for service vehicles. Unloading bays will be provided on the Bath Street frontage. I interviewed Yann Mash recently. He was a candidate in the 2018 Jersey general elections as a Deputy in District 1 St Helier - he wore the Reform Jersey rosette alongside two other candidates - but the three existing Deputies were returned. Yann plans to complete his university education and should be able to return to the political battle at the next Jersey elections. If you have a point of view that you want to express here with a video interview please make contact. You do not need to have been a candidate in the elections. Rob Duhamel & Mike Dun in Discussion. The following are video recordings of the principle speakers at the meeting organised at Hautlieu School on 21 March 2019 by "Jersey Cares; Refugee Aid Group" (JCRAG) and "Safe Passage" the UK charity founded by Lord Dubs with others. A Petition has now been launched proposing that Jersey should welcome refugee children to this Island. JCRAG has recorded the entire event and this will be posted in due course elsewhere. "What Next" - announcing the Jersey Petition and future plans and inviting questions from the floor (not recorded here). On Tuesday 22 March Lord Dubs was due to meet with Jersey's Chief Minister Senator Le Fondre. The same day from 11 am there was a Scrutiny hearing with Jersey's Minister for International Development including Overseas Aid. This touched upon many of the matters discussed at the meeting with Lord Dubs and specifically discussed whether refugee children should be welcomed to Jersey. Anybody interested in these matters should refer to the video recording of the Scrutiny hearing for 11 am on 22 March 2019. The matter of refugee children occurs in the final 15 minutes of the recording - but please note that there are two hearings commencing at 11 am that same day so there may be some confusion. The link to the relevant Scrutiny hearing video will appear in the comments box after this posting. “Think equal, build smart, innovate for change”. The Jersey General Hospital is a particularly curious institution and is predominantly staffed by women. It follows the Jersey Public Sector trend where twice as many women than men are employed. But shall this panel be looking at this strange health based institution as it exists now and how it might look and function as a spanking new £billion edifice of architectural wonder and healthy well being in the future? Of course “the hospital” extends beyond Gloucester Street to many locations already but I recently became a helpless patient there. My female “friend” activated my Male GP – in spite of the non-working “out of hours telephone service” - so that I was promptly collected by a male/female ambulance team and delivered to Gloucester Street where a male porter wheeled me to a male part of a segregated M/F ward. There are, so I have discovered, a few female porters. There is no discrimination in recruitment but is there any other deterrent? And that is the theme of this article which deals only with male and female genders. I encountered no evidence of policies or practices regarding other genders during my hospitalization either as employees or patients. I was initially examined on admission by a 24 years old male doctor. Subsequently I was seen by female and male doctors but noted that my own senior consultant was an older male as were most of those who visited other patients who were in the 60s -70’s – 80s plus age group experiencing serious illnesses including dementia. There were no visibly young patients. Most patients were discharged within a week but where they went I do not know for certain but I assume “home” mostly. But this article is primarily about the staff. Why is it predominantly women who undertake this type of caring/ nursing employment? Are they just driven by lack of other opportunities - and since noticeably too most have originated from outside of Jersey – is this just another example of “spud pickers” prejudice at work? I encountered just one local student nurse on a “day out” work experience from her full-time class of about 10 at Highlands yet there is evidently and noticeably a severe health staff shortage. Currently advertised are “staff nurse” vacancies for the private wing, junior sister for the gynecology unit, staff nurse for the renal unit, staff nurse for trauma unit, staff nurse for orthopedics unit and , specialist nurse for sexual heath unit. All these vacancies are advertised as not needing 5 years prior-residence. Almost anybody with the appropriate badge would it seems to accepted from anywhere in the world whereas a driver for the sterile services delivery vehicle would need 5 years residence to apply. Yet why are the likely applicants for the nursing vacancies most likely to be female? What is lacking in the job that is so unappealing to so many men? Are men simply not suitable due to an inherent design defect? Of course the “nursing” jobs described do require a professional qualification whereas the majority of staff employed on the wards are not qualified nurses at all but tend to be the cleaners – care assistants who undertake so many and varied tasks from serving food and changing soiled linen on beds to counseling patients in distress etc. They provide an essential part of the care provided and could not be replaced by robots – but could they be equally replaced by men? There is visibly a shortage of staff on the wards but by what process they might be recruited, trained or rewarded was not at all clear during my brief confinement as a patient but I guess that there are more than twice as many women already employed in such jobs as men. Shall the “Gender Pay Gap” scrutiny panel be looking at such issues? Since Jersey has created its own particular brand of discrimination to curtail “immigration” it is especially difficult to determine which recruitment factors are most important but in the UK just 11% of registered nurses are male. Yet the men are likely to receive higher pay and to be in the senior posts rather than their female colleagues. What is clear is that the “private” providers of care in Jersey have similar difficulties recruiting staff to provide basic services and it is a difficulty that is not going away. In fact all proposed “immigration” controls which include discriminatory restrictions on housing and employment opportunities are likely to make the problem much worse both for to private and public sectors. 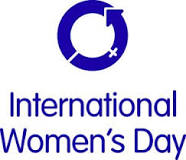 “Think equal, build smart, innovate for change” may be a catchy sounding slogan for International Women’s Day 2019 but it is unlikely to lead to a better understanding of working and recruitment policies in Jersey. How it might impact upon the quality of care of patients in the existing hospital service – never mind the new one - is anybody’s guess. The spring sunshine can have a strange affect on people so it seemed a good idea to take Graham's 1939 Amilcar voiturette out on a proving run. All went well until Les Landes when the battery - of the car - gave up the ghost and had to be rescued with some modern techno sparks when no volunteer could be found to donate a stocking as a fan belt. No bye-election posters were observed in the making of this video. The bye-election for a Deputy in Districts 3 and 4 St Helier will take place on Wednesday 27 February. This evening Thursday 21 February the final hustings will be held at the Town Hall from 7 pm. I hope that it is considered appropriate to remind ourselves of Deputy Richard Rondel and that the candidates in the bye-election and electors might learn something from this interview recorded in 2014.